The 2016 Honda CR-V is one of America’s favorite crossovers, so it should come as no surprise to Goshen and Monroe drivers that it ably outperforms the 2016 Jeep Cherokee. Offering stronger standard features, higher efficiency ratings, and vastly more space for cargo, the CR-V sets the bar for the crossover class, and the Cherokee fails to come close. 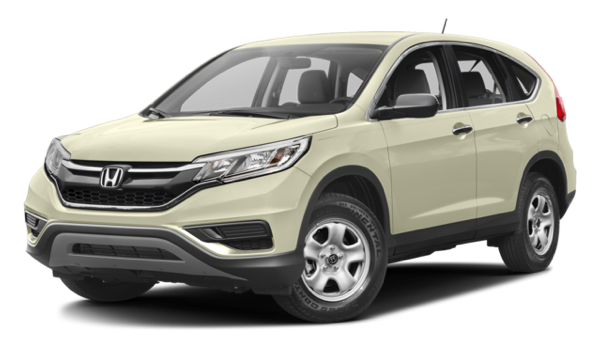 With an output of up to 185 hp and 181 lb-ft of torque at their disposal from an impressive 2.4L four-cylinder engine, Goshen and Monroe drivers will benefit from strong acceleration and precise handling, even when their 2016 Honda CR-V is fully loaded. That engine comes standard across all trim levels, as does a continuously variable transmission (CVT). Combining the efficiency of a manual with the convenience of an automatic, CVTs use a belt system instead of fixed gears to ensure that the balance of power is always optimal; you’ll be able to bypass the gas station regularly in your CVT-equipped 2016 CR-V thanks to mileage ratings of up to 26 mpg in the city and 33 mpg on the highway* in FWD models. The 2016 Jeep Cherokee is less generous when it comes to efficiency. The 184 hp and 171 lb-ft of torque from its 2.4L four-cylinder base-engine can’t quite keep up with the power provided by the CR-V’s four-cylinder, and it only makes 22 mpg in the city and 31 mpg on the highway. You could shell out more for the available 3.2L V6 if you demand a little more power, but you’ll make only up to a modest 21 mpg in the city and 29 mpg on the highway. The 2016 Honda CR-V has been designed to cater to the needs of the modern American family, and it shows. The cabin places priority on usability and practicality without sacrificing comfort, adopting a clean, uncluttered style with wide doors for easy ingress and egress and ample passenger space. Even better, the protruding transmission tunnel that would usually make the middle rear seat uncomfortable has been removed. Beyond these benefits, the 2016 CR-V is noticeably better at carrying cargo than the 2016 Jeep Cherokee. Cargo Space Behind Rear Seats: Up to 37.2 cubic feet in the CR-V vs. just 24.6 in the Cherokee. Cargo Space with Rear Seats Folded: Up to 70.9 cubic feet in the CR-V vs. only 54.9 in the Cherokee. Most midsize crossovers don’t differ too dramatically when it comes to cargo capacities. It’s only when you compare a frontrunner to a straggler that such a gulf is seen. Whether you’re going on a family trip or simply fitting in the weekly shop, that difference is going to feel pretty significant. Multi-Angle Rearview Camera with Guidelines: Hate having to crane your neck for a look behind you when you’re reversing? The CR-V’s rearview camera offers three viewing modes (Normal, Wide, and Top-down) to provide a complete picture on your dash display, with guidelines to help you move into tricky spaces. Automatic Headlights: The best drives are often those during which you can completely relax. The CR-V facilitates such drives by fitting headlights that come on when its dark and switch off when it gets light, even in standard models. The 2016 Jeep Cherokee doesn’t offer automatic headlights or even a basic rearview camera as standard. In fact, it doesn’t even offer a CD player with entry-level trims. 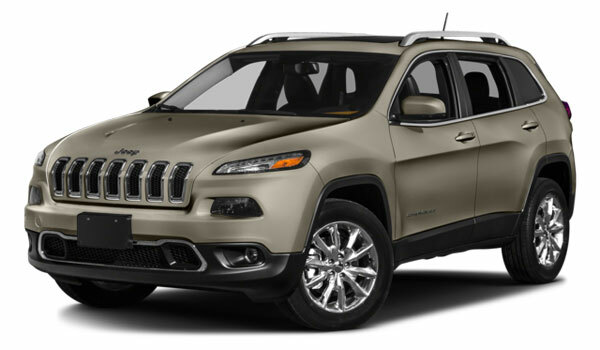 The 2016 Jeep Cherokee failed where the CR-V succeeded. This might be because it lacks Honda’s renowned ACE (Advanced Compatibility Engineering) body structure, which crumbles intelligently upon impact to direct collision energy away from occupants. The 2016 Honda CR-V owes its popularity around Goshen and Monroe to an ability to succeed across the board; in stark contrast, the 2016 Jeep Cherokee fails to make sense as an everyday vehicle. If you’d like to take the CR-V out for a test drive, or if you simply want some more information, don’t hesitate to contact Middletown Honda. * Based on 2016 EPA mileage ratings. Use for comparison purposes only. Your mileage will vary depending on how you drive and maintain your vehicle.